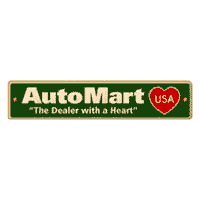 Auto Mart USA has been based in Colorado since 1983. We are a highly successful, family owned and run dealership. We are 100% local, but we sell cars worldwide. We concentrate on the Denver/Aurora market but our reputation spreads throughout the USA and all over the world. We have sold cars in 37 states and 15 foreign countries. We are 5 star rated on DealerRater.com, 4.8 stars on Cars.com, A+ rated by the BBB. You can trust the “Dealer with a Heart”. All of our sales associates are required to be DealerRater.com Certified with a rating of no less than 4.8 Stars. The Dealer with a Heart cares about our community. We contribute to numerous local schools and charitable groups and are a major sponsor of our local Holiday Toy Drive. This is a family run business. Mike founded the business in 1983. He has recently brought his 3 oldest sons into the company to help maintain our high level of customer service and to help out with our new facility under construction in Parker, CO. Family comes first and we will treat your family just like we treat our own. Honesty and integrity that makes us the Dealer with a Heart. Auto Mart USA’s Service Center can help you keep your car running like new! Our skilled technicians will perform all required maintenance to keep you on the road and protect your car’s warranty. Our repairs are performed with the same high standards as the new car dealerships but at a fraction of the cost. Like anything else you own, your car will perform better when it’s properly cared for. An essential part of taking care of your is regular maintenance. We can perform virtually all required maintenance, from oil changes & tune-ups to tires & batteries. Our Master Techs are expert troubleshooters and can perform most repairs right here on the premises. Ask about special loyalty discounts for our customers who have purchased vehicles from us. We are so excited about our new Superstore under construction in Parker, CO! Opening in summer 2019, it will be located at 9895 S Twenty Mile Road, Parker CO. At over 24,000 Square Feet it will be double the size of our current facility. It will have an inventory of more than 400 Like New, Low Mileage Cars, trucks and SUV’s. This newest dealership in the state will still be run by the founding family. Same family values of honesty and integrity that make us the Dealer with a Heart. Our service department will be the most modern, state of the art facility of its kind in Douglas County. This hometown dealer offers great services at unbeatable prices.